Select the city to read more about lessons for the instrument of your choice. We are experienced teaching beginning to advanced musicians. Welcome to Music School To Go of the Conejo Valley! We provide the highest quality private music lessons for children and adults of all ages at your home that will inspire passion, creativity and a deeper enjoyment of music. Music lessons for beginners is our specialty. We offer fun and enriching piano lessons, guitar lessons, voice lessons, violin lessons, drum and percussion lessons, ukulele, flute, clarinet and saxophone lessons for all skill levels, beginner to advanced. Piano lessons, guitar lessons and voice lessons are our most popular options. If you are ready to start your musical journey, our highly experienced, patient and talented music teachers are ready to get you started. Our goal is to make music education FUN, while still providing a nurturing and structured learning approach that's necessary to achieve results. Does your child want to learn to play an instrument? 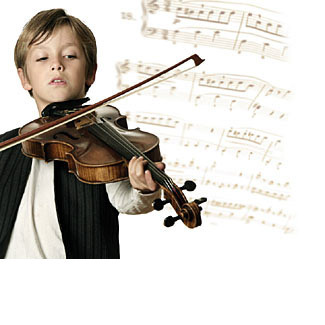 Music School To Go will help you find the right instrument for your child. Whether you want to learn to play the guitar, piano or violin, our highly qualified local teachers are experienced teaching beginners to advanced and know that teaching fundamentals are key, but also know how to make learning a fun and enriching experience. When you choose Music School To Go, you are choosing the most efficient and convenient way to include music in your child's life. We provide private, in-home lessons on your schedule at a time that works best for you. When you sign up for lessons, one of our highly qualified teachers will come to you. We'll skillfully custom match you with the right teacher for the best possible music lessons experience. No need to worry about traveling to and from a music school or waiting during lessons. We bring music lessons to you. You'll love the convenience of lessons in your home. It's your music, on your schedule, with the best teachers! Music School To Go provides one-on-one private in-home music lessons to students of all ages in the Conejo Valley including Calabasas, Hidden Hills, Agoura Hills, Oak Park, North Ranch, Westlake Village, Lake Sherwood, Hidden Valley, Thousand Oaks, Newbury Park, Simi Valley, San Fernando Valley, Bell Canyon, Woodland Hills, Tarzana, Encino, Sherman Oaks, Studio City and surrounding areas. You'll love the convenience of music lessons in your home! Beginners to Advanced -- Adults are Welcome Too! Private music lessons for kids are a great way to start the musical journey and it's never too late to get started with private lessons as an adult. Getting started with music lessons might feel like a challenge, but we can make the experience an easy and rewarding one. As a beginner, you need an experienced teacher who will take the time to listen and have the patience to guide you every step of the way. Staying motivated should never be a problem with the right teacher, and maintaining progress while tackling technique and repertoire in your lessons is something we’ve mastered. We believe it is important to provide our students with the opportunity to perform in front of others and to learn to play music with others in a group. This is why we offer two optional recitals during the year for our music students to show family and friends their progress and expose them to new musical styles and instruments. The recitals also help students stay motiviated and to practice more. These recitals are free and we do not charge for recital particiation or admission fees. All our students are on a month-to-month basis. We do not require registration fees or long-term commitments. If you are ready to start, you have nothing to lose as we only want students who truly want to learn and we will not commit you to a long-term contract. Simply put, our mission is devoted to you. We'll make the most of your musical journey and provide you with the best music education possible, in your home, at your own pace, and personalized to your goals. It's easy to take the next step! Contact us or call today to schedule your Private Lesson. We have been serving families in the Conejo Valley and San Fernando Valley and surrounding areas since 2004, and hope that your family is the next to join our Music School To Go family! Looking to give the perfect gift to a family member, friend or co-worker? Why why not give a gift that will have a profound impact on their life and be remembered forever! Music School To Go is a Conejo Valley music school. We provide the highest quality in-home music lessons in piano, guitar, voice, violin, ukulele, drum, flute, clarinet and saxophone with highly qualified instructors in the Conejo Valley and San Fernando Valley and surrounding areas. We have a fantastic team of teachers working together to serve our community. Our highly qualified and experienced instructors are adept in teaching students according to individual needs. Our instructors are carefully selected and we believe we have assembled the very best music teachers our community has to offer. At Music School To Go, we believe that music should be fun and engaging and we do everything to make sure it stays that way. By offering private one-on-one instruction, we feel it is the most effective way to enhance a student's learning experience. Contact us! We’d love to hear from you. Do you have a question or want to schedule lessons? Please use our contact form, or if you prefer, call us at 818-914-4950. Lessons can begin at any time. Want to schedule a lesson? Music School To Go offers instruction in piano, guitar, voice, violin, drums, ukulele, flute and saxophone for children and adults of all ages. To provide our students with enriching musical experiences through fun and enjoyable private in-home instruction. Our goal is not only to teach music, but also to develop in every student a strong sense of personal accomplishment, confident creativity, and appreciation for music. Music School To Go serves the Conejo Valley in Ventura County from Agoura Hills, Hidden Hills, Calabasas, Westlake Village, Oak Park, North Ranch, Thousand Oaks, Dos Vientos, Lake Sherwood, Hidden Valley, Newbury Park, Malibou Lake, Simi Valley, Moorpark, and San Fernando Valley from Bell Canyon, Woodland Hills, Tarzana, Encino, Sherman Oaks, Studio City and Pasadena. Music lessons near you: Private music lessons with the best teachers. Driving is inconvenient and fighting traffic is a struggle. Leave the worry to us. All Music School To Go teachers travel to give you in-home private music lessons. No need to drive to and from a school or studio and wait for lessons to end. We bring you the best experience right to your door. We proudly serve Calabasas, Hidden Hills, Malibou Lake, Agoura Hills, Oak Park, North Ranch, Westlake Village, Thousand Oaks, Dos Vientos, Lake Sherwood, Hidden Valley, Newbury Park, Simi Valley, San Fernando Valley, Woodland Hills, Tarzana, Encino, Sherman Oaks, Studio City and more!